 The brief was to design a set of channel branding and motion graphic templates for music youtube/Vimeo channel that predominantly focuses on any style of music videos, interviews with bands and talent, live shows and making of music videos. 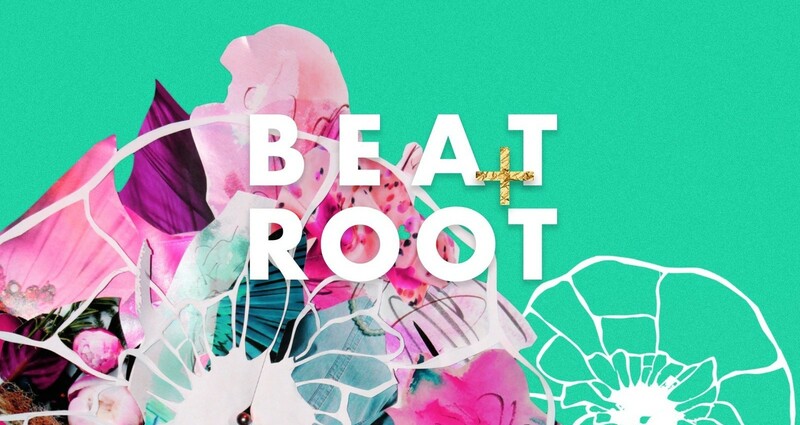 Beatroot aims to showcase music of iconic musical legends in order to once again spark an interest and appreciation for their authentic vocals, rhythm and performances. 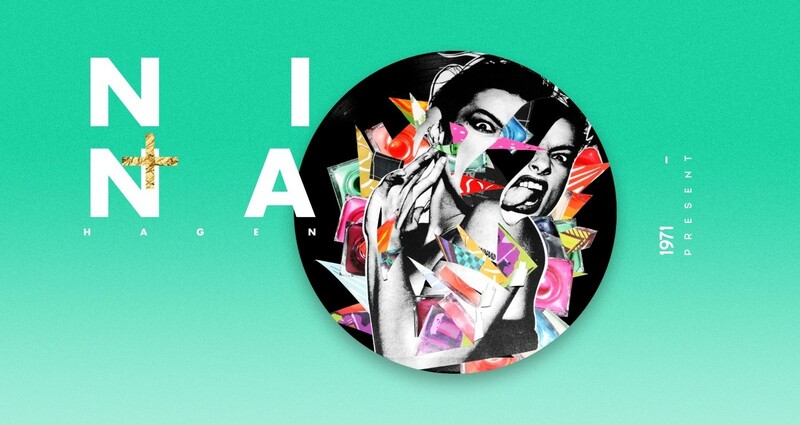 The retro style of Beat root made use of collage, stop frame animation, film and psychedelic art styles to emphasize the overarching themes of these decades classified as “flower-power”, “disco” and “pop”. 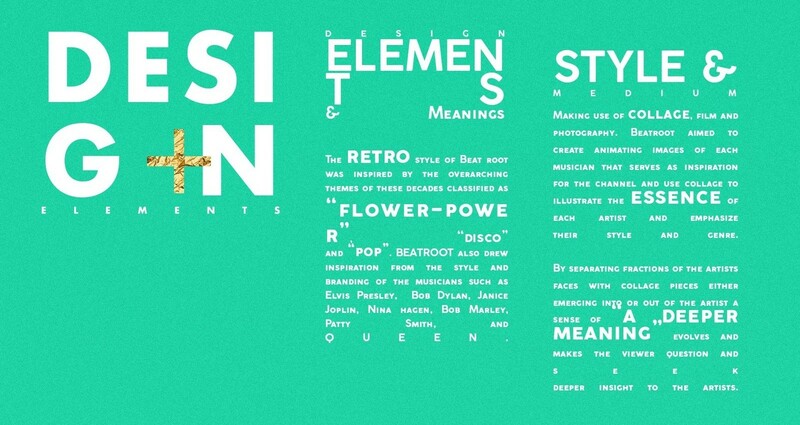 Drawing inspiration from the style and branding of the greatest musicians of the 1960’s - 1980’s a colorful palette added to the nostalgic retro essence of Beatroot. With the rise of improved technology and the easy access to acquiring illegal entertainment without any consequences or cost, classic forms of entertainment such as music and the artists behind the hits are being taken for granted and forgotten. 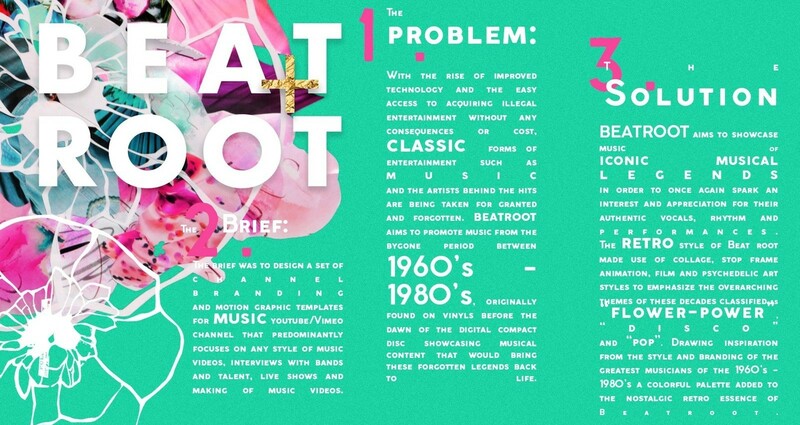 Beatroot aims to promote music from the bygone period between 1960’s - 1980’s, originally found on vinyls before the dawn of the digital compact disc showcasing musical content that would bring these forgotten legends back to life.